Update. 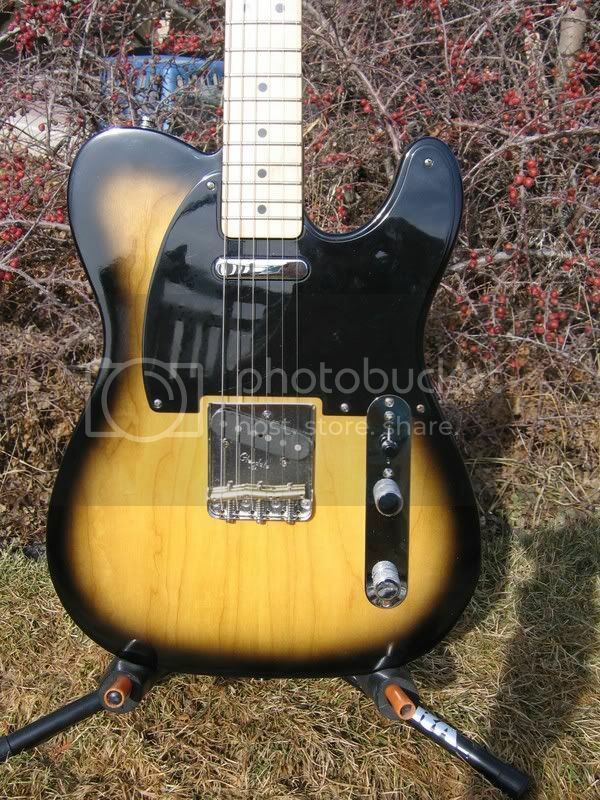 The Texas Tele has a satin poly finish on the neck and a matte lacquer finish on the body. The satin poly finish will shine right up if you take some plastic polish to it. Are these p'ups Texas Specials? Not the early models, they had pups that were hotter and more full than TS pups.